Growing up on Long Island, Jewish girls turning thirteen would have these amazing mini wedding type celebrations for making their Bat Mitzvah. When I made my confirmation, we ordered a cake from Everbest Bakery and a six foot Italian sub from Eastern Meats Deli. There wasn't a pretty pink party dress purchased for me to wear. I didn't wear a special floral corsage. We didn't have fancy favors. Maybe there were some balloons which we blew up ourselves. There wasn't a cartoonist perched on a chair drawing my family and friends with humongo heads and tiny bodies. Nobody gave me checks in the amount of special numerals to bring me good luck. Attending Catholic school until the 9th grade, the only Jewish girls I encountered were through summer camp or at Miss Diane's School of Dance. I wasn't invited to many Bat Mitzvahs when I was thirteen. In fact I don't recall attending even one. Later on in high school I had a couple of Jewish friends with little sisters and was floored at how festive and exciting these events were. I snagged a few invites. These parties were like Sweet Sixteens on crack. At my Sweet Sixteen, we sat around my parent's living room playing Pictionary, eating pizza and listening to Depeche Mode. I'll be honest, I didn't even know enough people to invite to a lavish, expensive party with a DJ and centerpieces. We didn't even have enough guests to waste money on a fancy cake. Instead I busted out a Duncan Hines chocolate cake with white icing and wrote the names of my favorite bands in red decorative gel alongside the "Happy Sweet Sixteen, Ally" ... Not sure why. Guess I thought I was cool. Senior year, a close Jewish male friend I had a crush on (just like every other guy I knew) brought me to hang out with his prep school friends in Westchester. So nobody would suspect we were boyfriend-girlfriend, we told them we were cousins. To help me fit in even better, he told me to pretend my name was Ally Azar. It was similar to my real name, but he said it "sounded Jewish" and it would be better for me to be Jewish today. I didn't mind. I know it seems weird for a Catholic kid to pretend they're Jewish for the day, but I didn't care. Really. As long as my grandpa didn't find out. He was like an Italian version of Archie Bunker, let's just leave it at that. I truly enjoyed pretending I was Jewish that day. I thought it was cool being someone different--even if just for a few hours. It was as if I was an actress playing the part of a cool LI Jewess for the day. 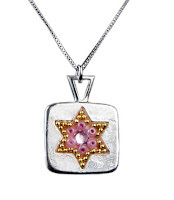 I even wore a little Jewish star pendant over my Gap tennis sweater. That day I met super interesting rich kids with names like Harley and Ben. Up until that day, I had never met anyone named Harley before. I thought there was only one Harley in the entire world and it was a brand of motorcycles. 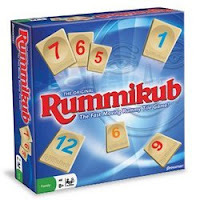 We ate Kosher pizza and played "smart kid" games I had never heard of before like Rummikub. It wasn't as easy as the games I had at home. I listened as the prep-schoolers spoke about intellectual topics and discussed books by authors I had never read. I soaked it all in and felt older than I was. I acted as sophisticated as I could and used words I had learned while studying for the verbal portion of the SATs. When we drove home I thought about every detail of that day. I went up to my room and realized the performance was over. I was back to being my childish, non-intellectual, non-Jewish self. I'm surprised that day's diary entry was very short and sweet and simply said Harley was a babe, otherwise I would have shared it with you. In a way I guess that's typical. I didn't even realize the weirdness of that day until adulthood. I think about it every once in a while. My husband loves that story. There you have the start of a writing career, being someone else for a little while. I love these kind of reminiscences! I'm Jewish from Central Joisey and I only went to Hebrew School for a month so I never had a bat mitzvah. Oh well. Priorities! It wasn't that important to my family. Haha! I loved this post! I spent A LOT of time as a teenager pretending to be something I wasn't. But to be Jewish...oh I never even thought of that one! Great post, loved the story! I always wanted to be Jewish. 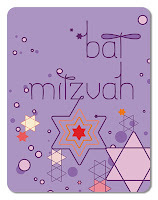 I had a bat mitzvah... I blew all the money literally and figuratively. Great blog!!!!! Let's link to each-other! I'm following you now. You should have gone to Grossinger's and been Jewish for a few days. That place was a lot of fun. Oh dear...you're young and I think they closed long before your time. (Just googled...they closed in 1986.) I still have a Grossinger's spoon which I borrowed. I always wanted to be jewish too! I'm part Jewish heritage on my dad's side. My great gram pauline schiffman and her husband max came from russia right as the bolsheviks were about to take over. Years later, when my mom and dad married and had me, I had alot of baby clothes given to me from bergdorfs and b altman and saks. All from my dads Jewish aunts and uncles. My love of jewish food came from my great gram. her catch phrase was "are ya hungry? EAT!"